Evolution of technology has changed the dimension of business. It has also increased the importance of selling and buying products online. The business mechanism and its modules are rapidly changing with the time. Auction software has been introduced to increase the scope of business and to provide competitiveness in the market. Meeting consumers’ demand in this regard has gained much importance. Choosing a relatively low cost and creative auction software is, however, an issue that the consumers are facing in the market. However we are giving you some help in this regard. Auction software has not only changed the lives of millions but also opening new horizons for others. Following is the list of top ten auction software that will definitely put your life at ease. It is regarded as world’s best online auction software. It is equipped with most advanced auction tools. It helps in building the auction websites ranging from a new business set up to the large-scale established businesses. 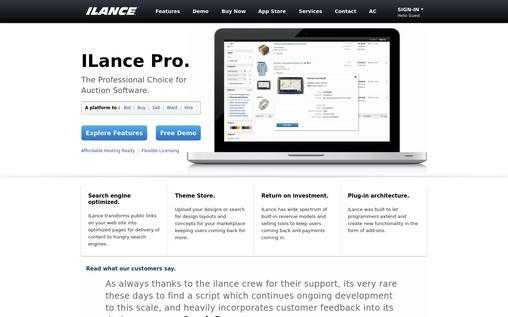 Auction Software has been used and acknowledged by the world’s leading website owners. The software offers a facility of being used as it is or with the consumer’s specific customized options. It offers help in reverse, forward and penny auctions and provides a solution to the entrepreneurs for their future as well. It is user-friendly software and has so far won over four awards for its performance. It is equally effective in small, medium and large business setup. This is an ideal software that is completely owned by the user. 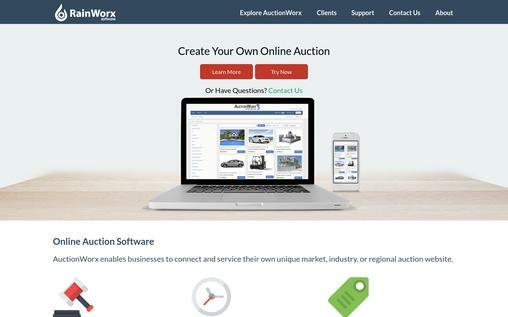 It has been observed that the software used for establishing online auctions charge a hefty amount or even get a considerable cut from your income. However, the Free trial script soft ISP offers you complete ownership. It makes you feel easy for establishing your own business. It offers a variety of options for designing the website including making your own logo and adjusting background of your own choice. The extremely user-friendly manual places the software among the top in the business. It works as a customizable auction platform. It is designed to meet your business requirements. It is equally useful for small, medium and large scale business set up. The Rainworx software has solutions for every business problem. It helps you design and plan your business event and also offers key help in executing your plans as per your wishes. Building a marketplace for selling and buying has been made easy by the software and is equally popular among the entrepreneurs and large-scale businessmen. It offers you space to save your data for buying and selling the products as well. The software is a heaven for online auctioneers. It helps a variety of help from hosting online auctions to buying and selling your products with a complete backup data. It offers branded solutions to the customers and is regarded as powerful and flexible software. It is equipped with a facility of automated invoicing, reporting and bulk loading. 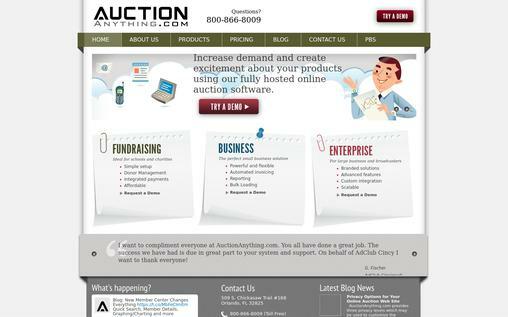 Auction Anything provides help to the business rookies and offers complete business solutions to the gurus as well. The software is designed to match the requirements of the market. It also helps the entrepreneurs to discover new horizons for their business. 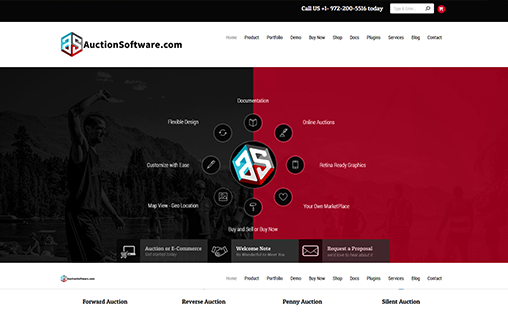 This auction software is fully equipped with all the requirements best suited for an online auction platform. Providing aide for online live auctions to timed auctions, the software is unique in its manufacturing. It offers rich features of toolsets that help in managing the auction website for further convenience. The Bidpath is compatible with a variety of currencies being used across the world and helps you choosing gateway for money transactions. It enables you to have a complete watch list for better management of the business. This software can easily be used in phones and tablets. The adjustable screen gives you the ideal view. Online bidding is the order of the day. The scope of online auction is increasing since the inception of the modern technology. Online bidding has made the life of consumers and sellers much easier as compared to the earlier. Live Auction Group is an idea to meet the world at a higher platform. This software is regarded as best for the online auction business. It not only helps you get bidders from near your home but also finds customers from across the globe. The software is designed to make online bidding dream into reality. You can build your own auction group and can enjoy the blessings of the advent of technology. This is unique software designed to meet all the requirements of modern-day online bidding systems. The software provides low-cost solutions of the online bidding problems. It has a state of the art manufacturing outlay and meets the global standards to compete with the other software available in the market. The BidLogix offers help in absentee bidding and provides a complete track of your business history fed in it. It has a user-friendly manual and ensures the safety of your data preserved in it. BidLogix is a low-cost investment to your worthy business. It is equipped with unique Buy Now option. A mobile auction has been a dream comes true for the online bidders. The Auction Experts played a key role in realizing this dream. This software has been designed for the mobiles and is offers unmatched features. 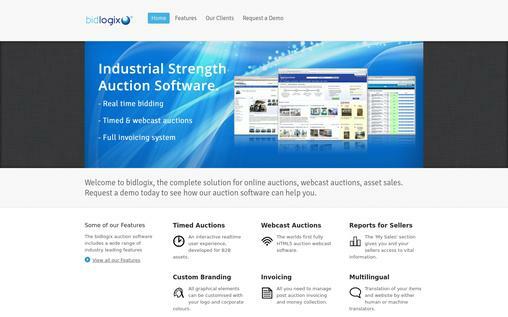 The user-friendly software offers unlimited possibilities and a variety of functionalities for big and small auctions. The software is supported by a 24/7 customers support system that ensures the smooth running of your online bidding platform. The software helps you save plenty of time and generate valuable income for the customers. It has been regarded as the best online bidding platform with customized solutions. 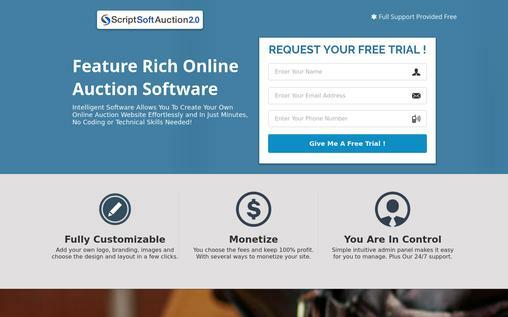 Statistics show that it is the most popular online auction software since its launch in 2007. 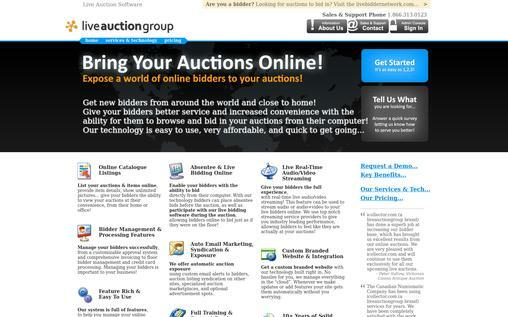 The software has over 15000 online auctions run and over 3.9 million registered bidders. 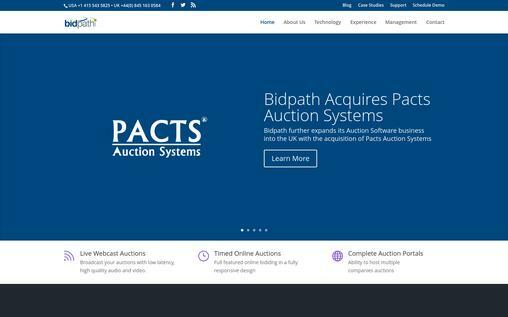 The software holds a record of online bids worth 15 billion USD. 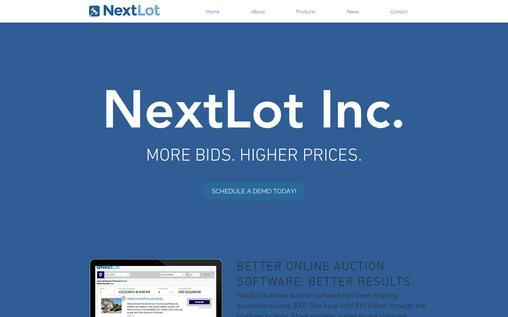 Next Lot has been a popular online bidding solution and has improved its quality a lot in the due time. 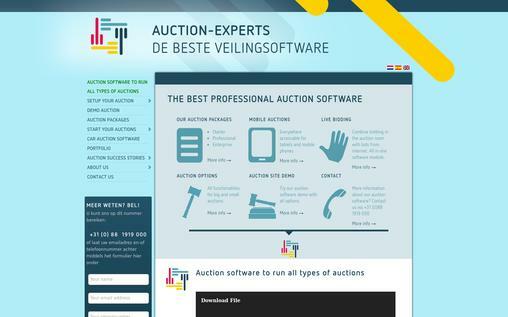 It is regarded as the professional’s choice for auction software. The ILlance software has unique features and offers help in increasing scope of your online bidding. It not only secures your future in the business but also helps you get suitable bidders from across the globe. It is thus the best professional software for the said purpose. The software has customizable themes and suites them most who want to excel in the field. The user-friendly module makes it more acceptable for the users. Establishing an online bidding platform was a dream that has come true due to the advancement of technology. The modern methods of engineering have made the online bidding more convenient. It now requires skills and a specific frame of mind to overcome the risks involved in the business. The software mentioned above have plenty to offer for those who want to excel in their field. Choose the best among this software and increase your business scope.